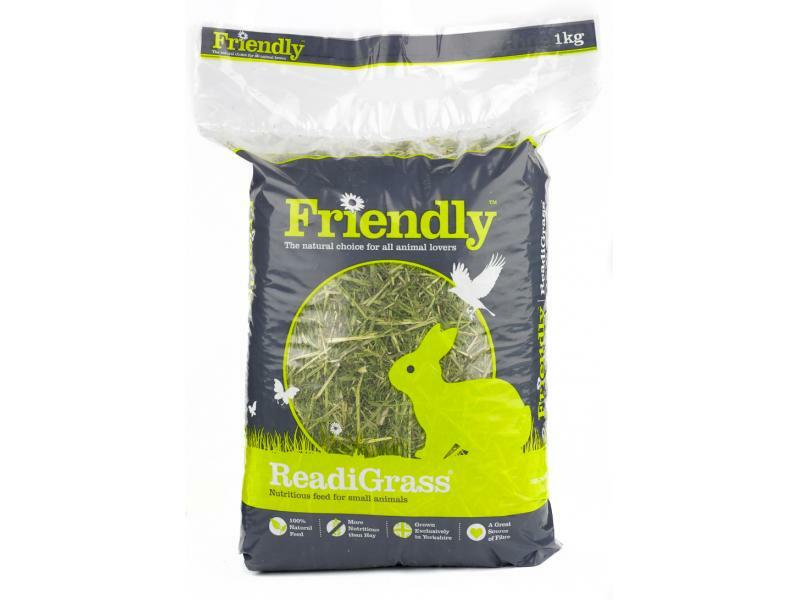 Friendship Estates Friendly Readigrass is a completely natural feed produced from only British pastures. It goes through a low-temperature drying process which removes just the water, leaving the fragrant aroma, high nutritional value and vibrant colour of fresh grass, and protecting the product from deterioration and contamination. The result is a highly digestible feed which is more nutritious than hay which can be enjoyed all year round. Because of the high fibre content, Friendly Readigrass helps to maintain a healthy digestive system and limit the development of overgrown teeth and other disorders. Below are some recent questions we've received regarding Friendship Estates Friendly Readigrass for Small Animals, including answers from our team. Is this grass/hay high in calcium? My bunny needs as close to zero calcium in his food as possible as he has very, very sludgy pee. As a point of comparison, he's not allowed to eat alfalfa or kale. Thank you. Having spoke to the manufacturers they have confirmed it is 0.55% calcium. Is this product safe for hamsters? 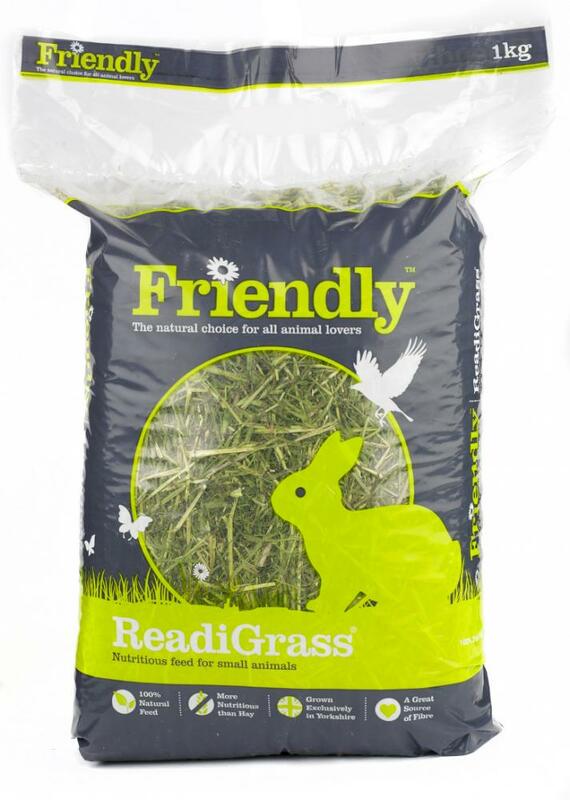 Friendly Readigrass is a highly palatable source of protein, vitamins and fibre. It would be suitable for hamsters, as long as it is introduced gradually to it’s diet; and making sure there is access to water at all times. Is this item suitable for guinea pigs? Friendly Readigrass is suitable for Guinea Pigs.